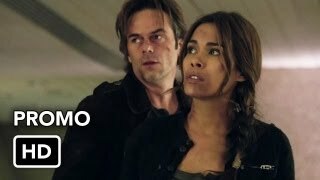 Revolution 1×18 “Clue” – A captive Nora (Daniella Alonso) is tortured and left for dead. Monroe (David Lyons) learns of Rachael’s (Elizabeth Mitchell) attempt to reach the Tower but is unaware of her deadly plan for him. 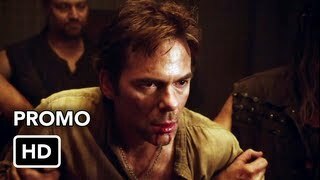 Meanwhile, Miles (Billy Burke) is desperate to find out how so many of his close associates are being brutally murdered. Later, Miles, Charlie (Tracy Spiridakos), Neville (Giancarlo Esposito), Jason, (JD Pardo) Hudson (Malik Yoba) and Sanborn (Leland Orser) struggle to make it out of the Plains Nation to join Rachel and save her from what they believe to be certain death.